A new Germany has come of age, as democratic, sophisticated, affluent, and modern as any other western nation. This remarkable transition in little more than a generation is the central theme of Germany Transformed. Here all the old stereotypes and conclusions are challenged and new research is marshalled to provide a model for an advanced democratic republic. 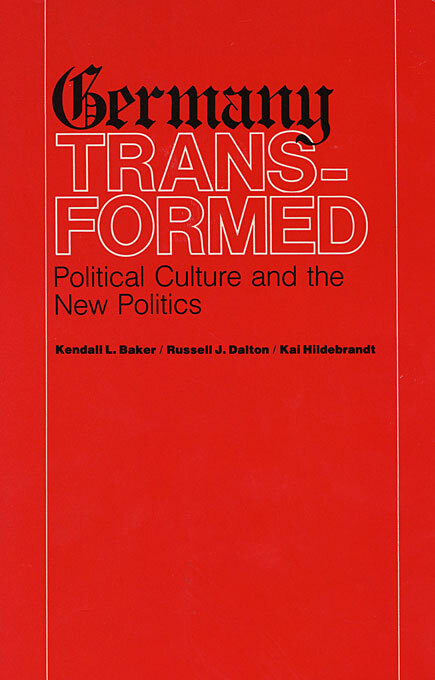 Kendall Baker, Russell Dalton, and Kai Hildebrandt, working with massive national election returns from 1953 onward, explain the Old Politics of the postwar period, which was based on the “economic miracle” and the security needs of West Germany, and the shift in the past decade to the New Politics, which emphasizes affluence, leisure, the quality of life, and international accommodation. But more than elections are examined. 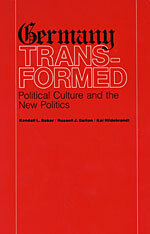 Rather, the authors delineate the transvaluation of the German civic culture as democracy became embedded in the nation’s institutions, political ways, party structures, and citizen interest in governance. By the 1970s the quiescent German of Prussia, the Empire, and the 1930s had become the active and aware democratic westerner. This is among the most important books about West Germany written since the late 1950s, when the nation, devastated by war and rebuilding its economy and political life, was still struggling with the possibilities of democracy. It is a political history, recounted in enormous detail and with methodological precision, that will change perceptions about Germany and align them with realities. Germany is now an integrated part of a democratic western community of nations, and an understanding of its true condition not only illuminates better the staunch European identity but also is bound to have an impact on American policy.